Unfortunately, not all 50p coins are worth much more than face value! If you’re reading this article, you may have an unusual 50p coin. There’s been a lot of publicity over the last few years about rare 50p coins in circulation which are – often to the surprise of those carrying them – being sold for significantly more than their face value, with collectors and investors seeking to snap up specific scarce and commemorative designs. No doubt you’re already aware of this and are curious to know whether your 50p could be worth a pretty penny. How much is my 50p worth? Truth be told, the chances are your 50p coin will be worth precisely that; 50p. The trouble with trying to get an accurate idea of what your coin is worth is that internet searches will only leave you more confused. Opportunists will leap at anything, and the 50p coin is no different, with a horde of opportunists hopping onto sites such as eBay trying to sell their Beatrix Potter 50p coins for silly prices in the hopes of conning a clueless few. A quick search on eBay and you’ll discover all sorts of common Olympic 50p coins or maybe the Battle of Hasting 50p listed for hundreds of pounds. Take a closer look at these coins and their completed and sold listings, and you’ll see that most of them don’t sell. Generally, the rarer the 50p coin, the more valuable it’s likely to be. Brilliant Uncirculated or proofs finishes also tend to be more limited and therefore worth more, although this isn’t always the case. Try our free coin valuation tool perfect for finding the value of coins like the Peter Rabbit Coin. What metal is a 50p coin made from? Not all 50p coins are made or designed the same. The Royal Mint produces almost all their 50p coins for both currency and collecting purposes. Typically, these Royal Mint 50ps that have been released for collecting will have a higher strike than the standard 50p you find rolling about in your loose change. Each one will come with a Brilliant Uncirculated finish (BU) and are often sealed in protective packaging or a secure presentation case, to prevent the currency from being handled, which can impact its value. These limited release coins from the Royal Mint are comprised of other alloys such as .925 silver, or 22ct gold and are often finished with an even higher strike using specially polished dyes to create an exquisite, mirror-like Proof finish. These too will usually be in a beautiful presentation case, come with a Certificate of Authenticity. Usually, these more precious examples are used for collecting purposes only, given as gifts or purchased for special occasions. Again, due to the strikes and limited numbers, some of these 50ps may become increasingly scarce with time and therefore sought after by collectors, becoming worth far more than their original value. You can buy coins including the Hastings 50p coin in both gold or silver by visiting our coin shop. So what coins are rare? The coins we discuss below are in our opinion worth collecting in any alloy or finish. Kew Gardens 50p with a BU finish in the original packaging. Featuring the iconic pagoda as depicted by artist Christopher Le Brun RA, surrounded by a twisting vine with an inscription of Kew at its base and the commemorative dates of 1759 and 2009. The Great Pagoda was erected in the south-east corner of Kew Gardens in 1762. Created by Sir William Chambers, the Pagoda is an imitation of the Chinese Ta and comprises of ten octagonal storeys and stands 164ft tall. During the WW2, holes were cut into the floors and used to drop test model bombs. This remarkable coin was specially designed in 2009, to commemorate the 250th Anniversary of the Royal Botanic Gardens. However, only a reasonably small batch of only 210,000 was released. Today, this coin is famously scarce, with only a handful left in circulation, these are now hugely sought after by collectors. The standard cupro-nickel example found in your change can fetch as much as £80 on the well-known auction site eBay – not a bad return on a 50p! The collector’s editions can bring far higher prices. For example, The Brilliant Uncirculated Strike (BU) is worth as much as £200 alone, the Kew Gardens Proof Silver 50p can sell for as much as £400, and the Kew Gardens 22ct gold 50p can fetch a phenomenal £2000! 1992 EEC 50p made from silver with a proof finish. Released by The Royal Mint in 1992, this rare 50p coin commemorates the United Kingdom’s Presidency of the Council of Ministers during 1992 and the completion of the single European Market which came into effect in January 1993. This popular commemorative coin is the first 50p coin with stars and a dual date displayed. The reverse design of the coin, by sculptor Mary Milner Dickens, bears a historic design which represents the 12 members of the 1992 European Community by the 12 chairs around the conference table representing the Council of Ministers. 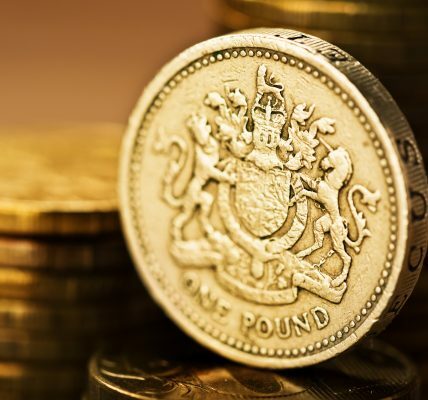 Official figures from the Royal Mint indicate that only 109,000 of the coins were ever minted, making this an extremely scarce coin, which is no longer released. Much like the Kew Gardens 50p, the 1992-1993 EEC 50p can be found in cupro-nickel as well as .925 silver and 22ct gold editions. Cupronickel coins can fetch up to £50, silver proofs typically go for £60 – £70, while gold can go for a whopping £700! The reworked version of the 2011 aquatic 50p with a BU finish and original packaging. The Royal Mint had the official license to manufacture the Olympic Coins Collection for the London 2012 Olympics and Paralympic Games as well as being awarded the contract to manufacture the Victory Medals that would be used for the London 2012 Olympic and Paralympic Games. The range covered a mixture of denominations, however, there was a huge interest in the Olympic 50p designs. The obverse of each coin featured Ian Rank-Broadley’s portrait of The Queen, The Royal Mint held a competition to design the reverse of each of the coins in the collection. From over 30,000 entries, 29 were selected to represent the 29 sports of the Olympic and Paralympic Games. The winning designs were chosen by The Royal Mint Advisory Committee and officially approved by Her Majesty Queen Elizabeth II. Exclusively designed and released for the 2011 Olympics, and often referred to as the 2011 Aquatic 50p coin. This coin features a delightfully rare design displaying an Olympic swimmer submerged in water, and swimming through the waves. A very small number of the original design were produced before being withdrawn at the last minute and replaced with a new modified version showing a clearer illustration. Today, rumour has it that only 600 of these rare 50p coins ever slipped into circulation. This means they’re extremely scarce and don’t pop up often, but it also means that when they do, they can sell for well over a thousand pounds. That’s right – just for the standard cupro-nickel 50p clinking about in your change! As our article has shown, there are indeed some rare 50p coins in circulation, so It’s certainly worth a rummage to see if there’s a rare 50p buried in your loose change! We have covered the coins we believe are rare here, however, If you’re still curious to know what your 50p coin is worth, why not try our free coin valuation tool for accurate values made effortless? Quick and easy to use, it saves you the time of endless searching through eBay for sold and completed listings. Simply choose your coin, the date and the alloy and voila; our handy tool will tell you your 50p coin values. How much is your 1 pound worth?